Here is a list of puppy training tips you can use if you are wondering where to start with a new dog. Think of training a new puppy or small breed dog as if you were guiding a small human toddler: Gently, Consistently, and with lots of love, praise and attention. Small dogs respond to consistent training techniques that are gentle and positive. Any harsh treatment on your part can set the training back and should be avoided. Your major goal in puppy training is prevent behavior problems from every arising. 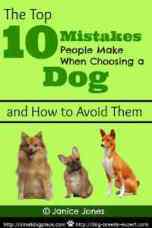 Volumes have been written on dog training and there are as many opinions out there as there are dog trainers. The truth is everyone wants to give you more puppy training tips. Just remember, that just like humans; all dogs are not the same and what works for one may not work for another. But even with individual differences, the idea of a small dog personality is never so evident than when it relates to small dog or puppy training. These little guys may be small, but they have BIG personalities complete with their own agendas at times. Perhaps that is where the whole idea of small dog stubbornness gets its name. As small dog owners we are often guilty of letting some behaviors just slide by because they are not as noticeable or annoying or we can simply compensate for behaviors we would never tolerate in big dogs. Small dogs can and should be trained, socialized and taught some manners. Here are a few Puppy Training Tips to get you started and consider visiting other pages on this site for further information. Do not consider these puppy training tips to be a complete list. Please visit our other pages for more information. AND, if you haven't done so already, it is now time to puppy proof your home. Let's just say, we don't really pay much attention to many puppy training tips circulating everywhere. Consider the often annoying behaviors of barking and jumping, for example. There is a major difference between a 3 pound dog jumping up on us verses a 200 pound giant who excitedly jumps up to great us. Similarly, when a small dog that barks and rushes to the door when the doorbell what do we do? We pick him up. Try doing that with a 200 pound Dane. 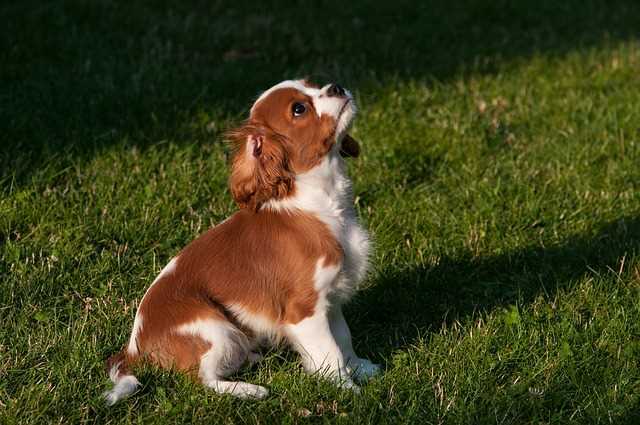 Keep puppy training sessions short—5 to 10 minutes maximum: Puppies and some dogs tend to have short attention spans. Pick a time when you do not have other things on your mind and your dog is rested and alert. If you are planning to reward with treats, a slightly hungry dog is a motivated dog. Many people use commands that are generally accepted such as sit, stand, stay to tell the dog what they want him to do. When beginning a training program, decide what words you will use and stick with them so the do will learn what you expect of him. Be consistent and mean what you say. Don't tell a puppy to get down when he's jumping on you if you also use the word down to mean lie down. Find a place that has the fewest distractions: Distractions seem to be a problem for many small dogs. They simply don’t want to miss anything, especially something that might be more interesting than the task at hand. Be firm, patient, and consistent: Your dog is looking for you to be a benevolent leader. 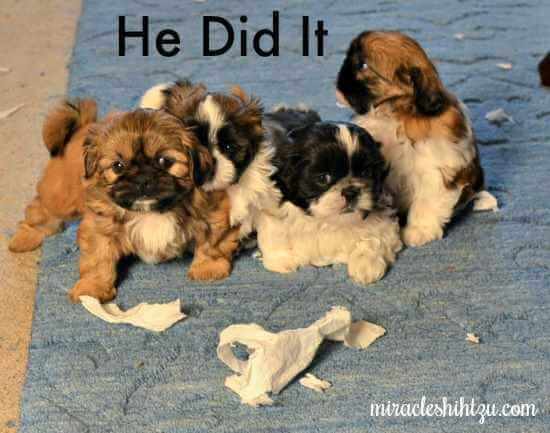 Puppies can get into trouble if left alone for long periods of time. Be very gentle with your training methods: Consider using a harness instead of a collar when leash training. Gently nudge the puppy or dog into what you want him to do such as sit or down. Never ever Hit Your Puppy—All training should be positive. As with human children, punishing bad behavior is never as effective as rewarding good behavior. Punishment only serves to make your dog afraid of you. Make all training sessions fun and entertaining: Play is what most small dogs do best. Use play as a reward.You can also introduce a new toy such as interactive or chew toys to reward your puppy when he responds appropriately. Never lose your temper--Stop if you feel you are getting angry: Small dogs have an uncanny ability to sense moods and will not understand your anger. Your anger will translate into fear in your small dog and a fearful dog is very hard to train. Use small treats especially for puppies rotating them regularly; Most small dogs love novelty and will get bored easily. If your dog responds to treats, by all means use them. Treats can be purchased or you can use a small piece of meat, cheese, or hot dogs instead. Even Cheerios or tiny crackers are great training treats, if used sparingly. Some small dogs do just fine with praise, attention, hugs and kisses. 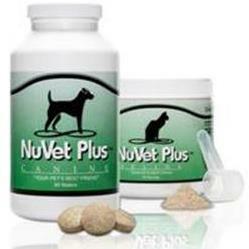 Try a variety of methods and then use what works for your dog. Vary your methods periodically such as rewarding with food, games, toys and hugs. Your dog will like the challenge. If praise is what works best, use it enthusiastically, YES! Use a low guttural sound in your voice or a simple uh-uh to get their attention—it works better than saying “no.” Teach "Watch me," before any other command. Puppies learn to walk on a leash before they can begin formal training in heeling. Teach your dog to walk on a leash: Not all small dogs need much exercise, but obesity tends to be a problem so a short walk now and again is good for them (and you). Yes, it might be easier and cuter to push your dog in a doggy stroller or carry her in a doggy purse, but she will benefit from the exercise. Small dogs have a bad reputation for being hard to house train and sadly, there is a considerable truth to that end. Do not give up on house training, but consider it a process rather than a task to complete. Some breeds are very hard to house break. All dogs do make mistakes from time to time and keeping a positive attitude towards your dog will go a long way towards building that bond and trust. Keep your small dog groomed and clean—an uncomfortable dog is not a happy dog and unhappy dogs are hard to train. For more information on grooming, click here. 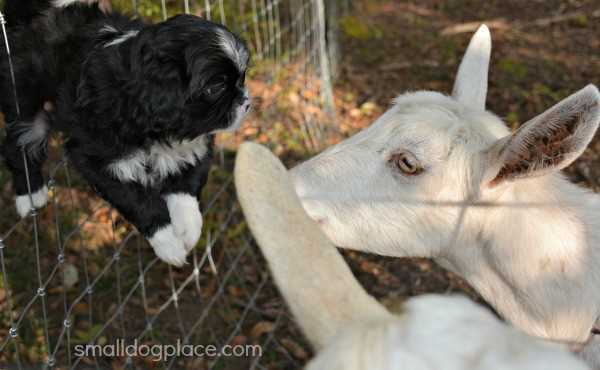 This puppy is being socialized around goats. Remember Socialization begins at birth continues throughout the puppy’s first year. Socialization and training are closely related. Training classes can help with both socialization and with learning commands. Consider enrolling your dog in a class. Find out more about Socialization. Remember, these puppy training tips are just the beginning, but they are very important for your success. Check out other pages on this site for more in depth information on small dog training.